It's that time of the year again, This years Supermen of Naples, Florida have been unveiled and it was my joy to photograph this feature for Naples Illustrated's September issue for the third year running. Here are the photos from this years shoot at the Naples Zoo featuring the very accommodating animals from the park including the playful Giraffes, sleepy sloth and the newborn African Serval Kittens. It really was a blast shooting this in the entertaining surroundings of the old Caribbean gardens. Fun to be on the other side of the camera for a change. Check out my cameo in the new Naples Illustrated Commercials airing now. This blog entry will be dedicated to my travels to the lovely town of Lunenburg, Nova Scotia in the neighbor to our North, Canada. I've just returned from a rejuvenating vacation and photo excursion to the Unesco World Heritage town of Lunenburg, Nova Scotia, Canada. I was hosted on this trip by Dr Will Brooks www.brooksofcanada.ca and his lovely wife Cheryl Lamerson and their wonderful four legged companion Sasha, a Nova Scotia Duck Tolling Retriever. I was truly taken by surprise by the beauty of the landscape and architecture but even more pleasantly surprised by the kindness and welcome the people I met during my stay in Lunenburg. 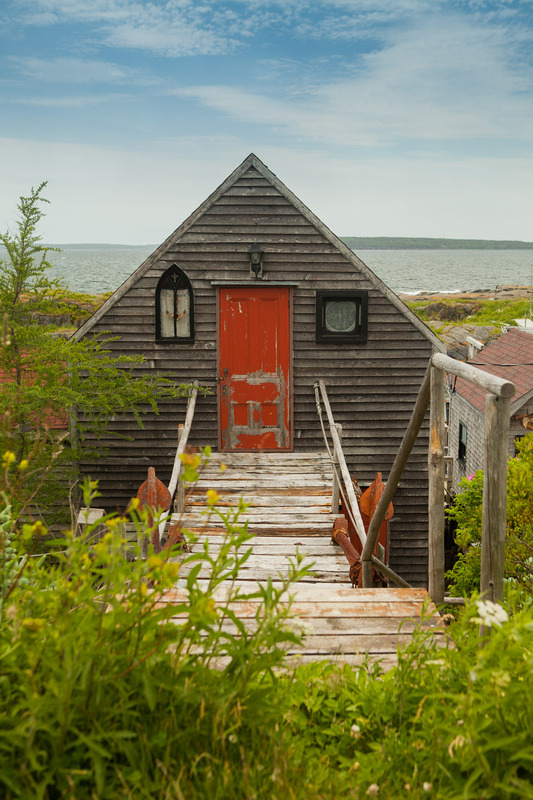 Lunenburg is a UNESCO world heritage site “brief historical synopsis” dotted with colorful facades, ramshackle lobstermen sheds and shacks, winding roads and pleasant temps. I instantly fell in love with the people and places in this lovely part of the world, so much so in fact that I've decided to return next year Summer of 2015 to lead photo workshops through Lunenburg and surrounding areas along with local guide Dr William Brooks. 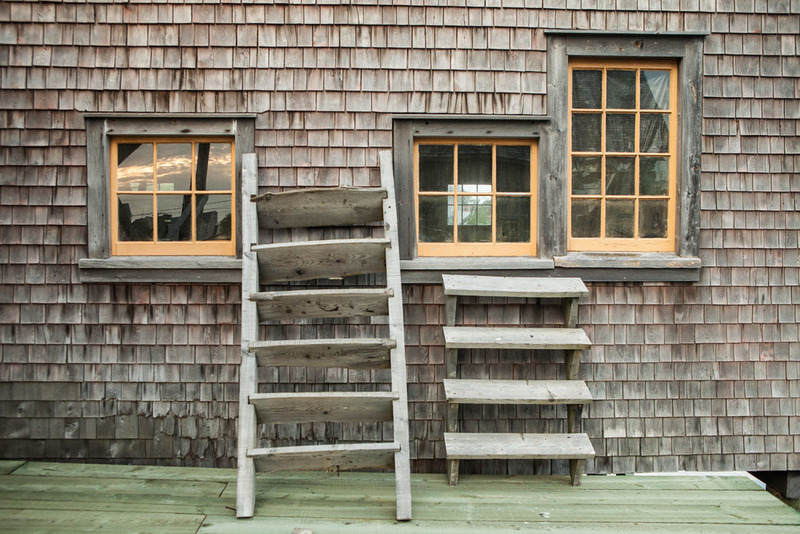 Stay tuned for more details of this exciting new professional venture and in the meantime, enjoy some of the sights of Lunenburg, Nova Scotia. Nannie and Susie Tanner of Black Rock, two of the most lovely souls I came across during my trip to Nova Scotia. Knot's for Sale at the Lunenburg Marina. A few final shots from the final day in Lunenburg. What a trip! Thank you Nova Scotia, Canada for a memorable trip. 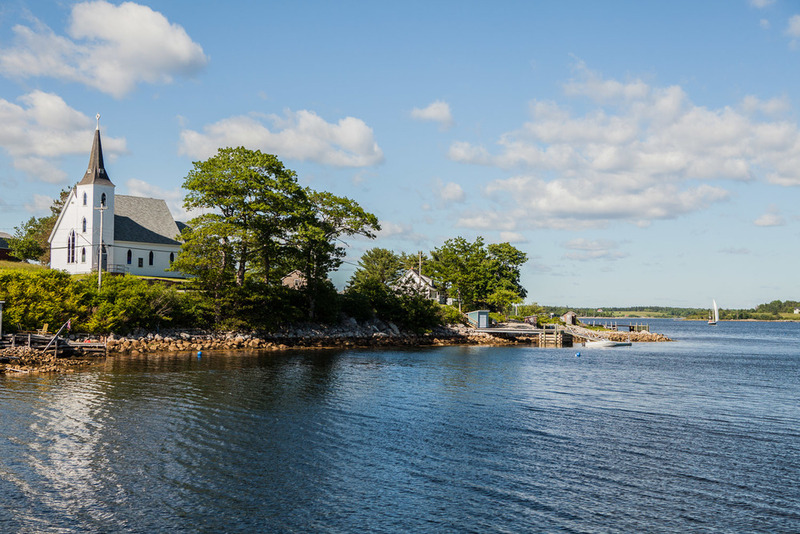 Stay tuned for release of more information regarding the Summer Workshops in Lunenburg, Nova Scotia including pricing, packages and accommodations in an upcoming blog in early September. It's been a while since my last blog post but for good reason. May and June 2014 has been one of the busiest of my photography career and I'm hoping to keep this positive trajectory going. Of note as of late were two new clients, NBCNews.com whom I shot a portrait for in Boca Raton and Fort Lauderdale Magazine which commissioned me to shoot their August 2014 Fashion spread and cover. In other exciting news, I'll be traveling to Nova Scotia Canada in just two weeks for an 8 day photoshoot excursion. I plan to shoot a wide range of content from Lifestyle to Fashion and of course TRAVEL. I'll also be speaking to novice and semi pro photographers about my career, technique and photographic style. I'm also beyond excited to be planning a trip to Hong Kong China in August accompanying my good friend and amazing singer/songwriter Kitty Carmichael and her band where we plan to shoot a story about her travels there to perform for the summer at the Peninsula Hotel Hong Kong. Stay tuned for more details on this thrilling trip. I also visited the Breakers for the Tasting Panel Magazine this month which is always a fun shoot given the beautiful and historic architecture of the Palm Beach area. If you haven't been, it's a must see. Looking ahead I have 2 new cover shoots to unveil as well as a 3rd I haven't shot yet that I shoot annually and is always a fun and creative production. Stay tuned! Enjoy a few behind the scenes photos below as well as some scenes from my most recent work trip to New York City where I finally saw the completed Freedom Tower in Lower Manhattan. Wrap photo with the lovely and talented Alex from MC2 Model Management Miami after Fort Lauderdale Magazine Fashion and cover shoot shot at the Hilton Marina. It's been an exciting month in the world of Vanessa Rogers Photography. I was excited and honored to take part in a commercial shoot with the one and only Fiddler Films shot on location at their new space on Fifth Avenue Naples, Florida. It was interesting being on the other side of the camera and renewed my interest in what was once my passion (and still is) acting. It was a fun and challenging day with many talented people collaborating including Dani Taverna of www.dualityartistry.com , the fabulous folks at Philip Douglas Salon in Naples www.philipdouglas.com , the women of Naples Illustrated Magazine www.naplesillustrated.com and of course Lou Hernandez, Jason Tower and the rest of his amazing crew at The Edge Studio at Fiddler Films www.fiddlerfilms.com . This month I also worked with Jordon Culpepper, Miami model extraordinaire on some fun and vintage Hollywood inspired studio looks. As always Jordon brought many fabulous ideas to the table and I really love the way everything turned out. Here are some of the looks we came out of the day with. Enjoy! 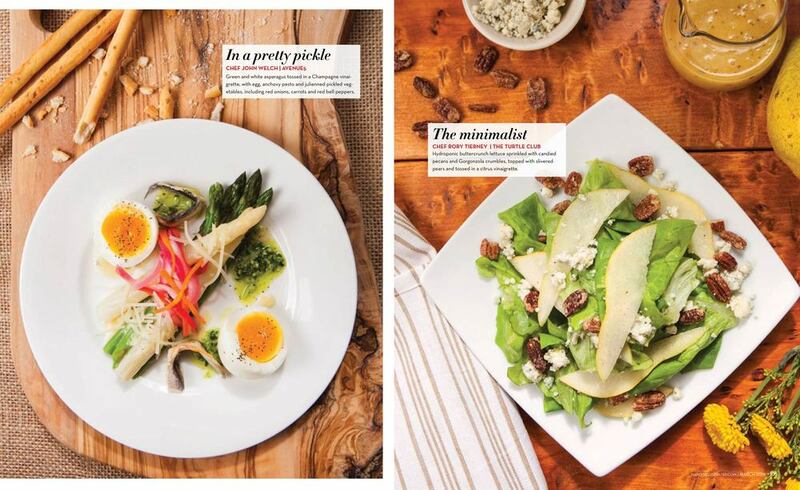 Also published this month in Naples Illustrated's March 2014 Issue was a six page food feature on Spring Salads. Check it out here and at www.naplesillustrated.com . This month has brought about quite a few new commissions and newly published work but the most anticipated for my studio is the Naples Illustrated Feature profiling the one and only Clyde Butcher, Photographer, Icon, Artist, and conservationalist known for his enchanting large format prints of the Everglades in Florida. We were honored to enjoy an afternoon of conversation and a world famous swamp walk with Clyde. Truth be told, I was a bit, let's say, HORRIFIED at the idea of putting my feet in a murky swamp but Clyde put me at ease and once the initial fear subsided the surroundings truly took me in and surrounded me with wonderful visuals in which to photograph. I even had the rare opportunity to view the glass on Clyde's 8x10 camera as he talked me through his process. I haven't seen a camera that size since my college years in New York City and I'd almost forgotten the image appears upside down. What an experience I will never forget, Thank you to all who helped make this epic experience happen. Check out Naples Illustrated's February issue on the stands now and at naplesillustrated.com online and enjoy a sneak peak here. Another story published this week in Naples Illustrated Magazine for their Valentines issue is a lovely tabletop designed by the maestros at 50Fifty Creative Services in Naples and catered by Carolina Catering. A truly breathtaking scene and I was happy to capture it and share it with our readers. These fabulous artisans can be found online at 50fiftycreative.com and c3Kitchens.com . Here is the spread online and in print this month. The studio has also been contacted by two newly acquired clients, Hertz Corporation and national beverage trade magazine The Tasting Panel which I'll share more about in later blogs. December's Editorial spreads were abundant including a couple of genre I seldom shoot such as this Jewelry spread styled by the stellar prop stylist Pamela Jean and published in Naples own Gulf Shore Life December Visitor Annual. Of course I would be remiss if I didn't mention Art Basel 2013. My good friend and alumni Matthu Placek had a one man show at the YOUNG ARTS FOUNDATION featuring his 3D portrait of Marina Abramovic. To say I was proud and frankly blown away by my good friend is an understatement. He is one to watch. On that topic I hosted one of my dearest friends Abbey Drucker for Basel weekend. She also brought me on as a producer for a shoot with the Editorialist editorialist.com . Her shoot was ablaze with luxury fashions from the worlds top designers and their spring 2014 ready-to-wear collections. Here's a little behind the scenes photo of the artist at work. Please stay tuned for an exciting announcement regarding a very new venture involving something I've always had a passion for and want to share with friends near and far, coming soon. Last week I was honored to be invited by the Editor of Naples Illustrated, Teri Evans, to the Naples International Film Festival's opening night at Artis formally known as the Naples Philharmonic Center for the Arts. Beyond the lovely premier of Romantic Comedy "Hank and Asha" from Indie filmmaker James E. Duff which brought plenty of laughs and even a few tears I was honored to meet renowned everglades landscape photographer Clyde Butcher. He was charming and old school, still using 8x10 camera as well as processing both his own film and prints, YIKES, and was more than willing to take time to talk shop. Even more exciting is the news that there may be a collaborative project on the horizon, stay tuned for more on that. This week the unofficial beginning to the South Florida, Naples, Fort Lauderdale and Miami Season begins. I'm honored to be in attendance to HATS in the Garden at my favorite meditation spot and recreational area the Naples Botanical Garden, featuring the Marissa Collections Fashion Show. I'll also be photographing a group of Naples Young Philanthropists for an upcoming editorial. It's a productive and a bit insane time of the year but all worth it because I'm so grateful to be able to do what I do all year. Thanks to all my long time and new clients for helping make it possible. Teri Evans Editor and Chief of Naples Illustrated and yours truly. Moore Building Fashion - Throw Back Thursdays with Femme Fatale and more…. Newest Fashion shoot in Miami with one of the best crews a photographer can wish for. We had this photoshoot planned for an early Saturday morning in the Design District area of Miami and realized upon entry that the space was setup for a wedding. Needless to say, the final needed a lot of retouching to omit the dj equipment, chairs and tables but the end result was well worth the effort. This was Aliya's first week in the USA straight from Russia and represented by Elite Miami. She is a natural and I think she has wonderful things ahead of her. Location loaned by Gabrielle Lyn D'Alemberte, Esq. For a little Throw back Thursday Here is a shot from Naples own Femme Fatale, now Femme Couture, These ladies sat for a portrait shoot a few years back and I had nearly forgot about this shot till I saw it this week while shooting a Femme Couture event this week for the lovely and talented Tricia Cona and Jennifer Cona Ewing. There have also been many new and exiting projects on the agenda including work for Walgreens, features for Gulf Shore Life and Naples Illustrated and a season filled schedule in Naples and Miami. Stayed tuned for more updates. We are currently in search of a food / set stylist for a construction client in SW Florida for a lifestyle still shoot scheduled for early next week. Please feel free to email me with interest and qualifications or share with someone you know and I'll gladly provide you with more information regarding this production. Thank you. 2 New Covers Released this week. Happy Labor Day! Was a busy week in Naples this week with an abundance of fun and exciting work and not to mention the new Advertisement that will be running in the September 16, 2013 issue of TIME Magazine. HABRI will be using my lifestyle image shot for a luxury gated community in Fort Myers, Florida for an advertisement promoting the benefits of having pets. This will be part of a special section run in this issue of TIME. Very excited to have my work appearing in TIME and especially for such a lovely purpose. Also in VR Studio news, We are nearly there on wrapping up photography for a cookbook featuring the recipes of renown chef Fabrizio Aielli and their lovely restaurant in Naples, SEA SALT. We saw some preliminary designs and all that can be said is WOW. I'm blessed to be a part of this fabulous project and anxious to share it with all of you. We were also fortunate to be asked to photograph the new Editor and Chief of Luxury magazine Naples Illustrated. Teri Evans has just been awarded the post of guiding this long time client down new paths beginning with the new format which will be shown to the community beginning in September with my new cover for the Supermen of Naples Feature. Please go out and pick up a copy soon. Excited to let everyone know that one of my images will be appearing in the September 16th 2013 issue of TIME Magazine. Will be part of a special section on pets. Will be sure to post the final when it's published. Hope everyone's having a great week and stay tuned for more exciting news from Vanessa Rogers Photography including a new Naples Illustrated Cover and Feature portrait shoot. Happy Friday Ya'll! It's Assistant Appreciation Day! Introducing the fabulous, funny and ever-so-sweet, Jericah! Self-proclaimed, right-hand woman to Vanessa. There's a lot going on in the studio today. Between corresponding with clients, retouching and enjoying our fabulous, fun and productive work environment, we've got one BIG project in the works and that is, reorganizing all of our equipment! Wish us luck! And Welcome to my brand new blog. After a good deal of research and thought I've decided to use SquareSpace as my website service provider. It seems to show my tendency to story tell in a way that flows and shows the collection of my portfolio as a whole. And so begins a whole new world of online presence. I'm just off a 12 day West Coast vacation with stops including Los Angeles, Las Vegas and the awe inspiring Grand Canyon. Words can not describe the visual spectacle of this wonder of the world. It truly earns it's reputation but was even more overwhelming to every sense than I could have imagined. It is truly a bucket list destination. I'll try to include a photo from this amazing destination soon in the travel section of my online portfolio. The Studio is preparing for another season in South Florida which has already begun in the editorial world and will be going full force in the coming weeks and months and Jericah and I couldn't be more excited to get back to work. A bit of exciting news to report today. A national advertiser for TIME Magazine is interested in purchasing an image on my home portfolio page so we are all very excited to have been given notice by such a reputable institution. That's all for today but tune in next time for more news from the Studio of Vanessa Rogers Photography signing off from Miami / Naples and New York. The view from the South Rim of the Grand Canyon.